There’s a quirky little place, roughly halfway between Kuala Lumpur and Penang. 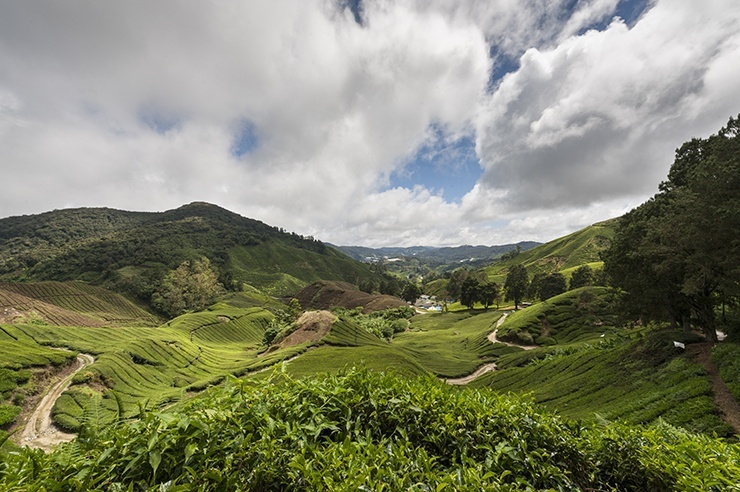 If you love hill stations, strawberries and tea, or if you fancy a break from the stifling heat of the rest of Malaysia, make sure you sure you stop in Cameron Highlands for a few days. Here are five ideas on what to do in the area, drop us a comment if you wish to add to the list. Who doesn’t love a good mystery? Travellers coming from Thailand will surely have heard of Jim Thompson, the man who single-handedly saved the Thai silk industry from decline, former owner of the beautiful house museum in Bangkok. Jim Thompson disappeared after a hike in Cameron Highlands, on Easter Sunday 1967. Vanished without a trace, despite extensive jungle searches and handsome rewards offered. The aftermath of his disappearance brought a flurry of psychics and self-styled soothsayers to the area; conspiracy theories abound, but Jim Thompson’s fate remains a mystery. Nowadays, you can spend the night in Moonlight Bungalow, the place where Jim Thompson stayed before his disappearance. For a glimpse into Jim Thompson’s story, and indeed the whole of Cameron Highlands historical memory, check out Time Tunnel Museum, a wacky memorabilia museum with vintage photographs and assorted knick-knacks from local collections. Think 1960’s Milo tins and mathematic tables. I cannot recommend this highly enough. 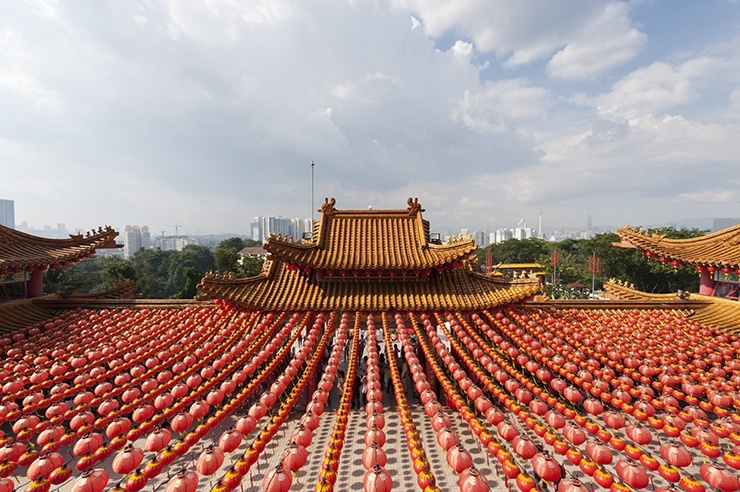 If you visit in January or February, chances are your guesthouse will offer you a rafflesia tour. Do it. Rafflesias are crazy-looking flowers; deep-red covered in polka dots and up to a metre in diameter, they are also known as corpse-flowers on account of their rotting flesh smell. They are very rare, take up to nine months to develop from bud to flower and wilt after two-three days. They have no stems, leaves or roots; for this reason, it is impossible to predict where they can be found. 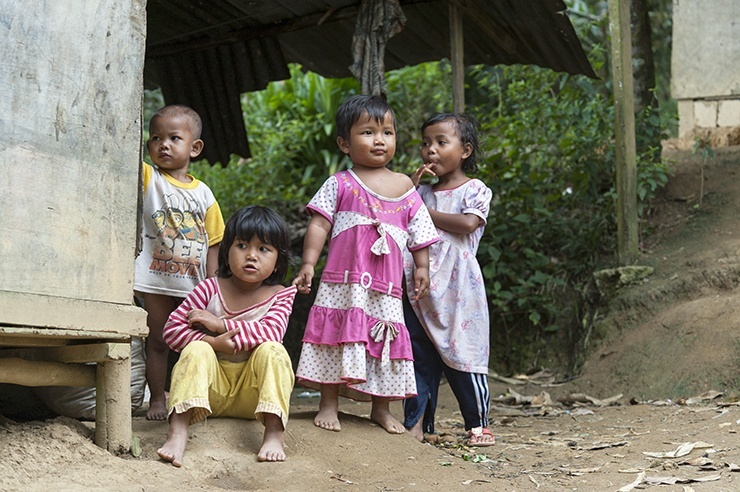 Generally, tour agencies employ local orang asli villagers to find flowering rafflesias and buds. The rafflesia tour was a great experience for us. 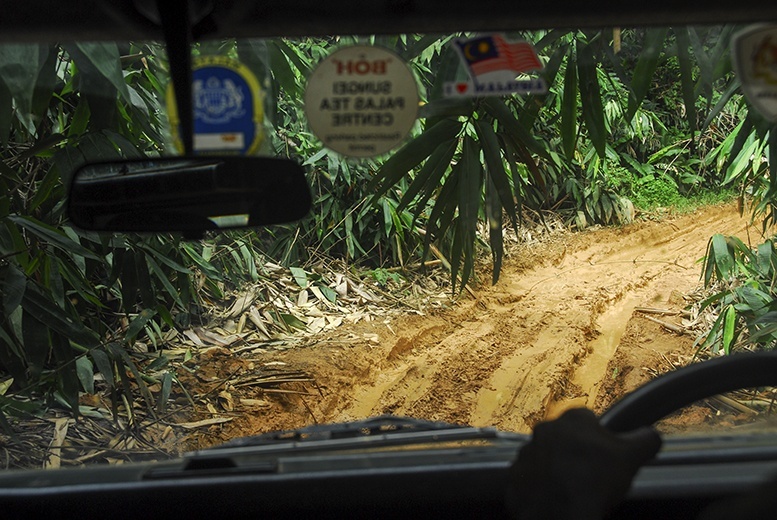 We rode for an hour in a 1948 Land Rover and hiked for two another hours in the muddy jungle, guided by an orang asli man and child. Then came the crazy flower itself, I expected to stick out like a sore thumb, but it was actually well-camouflaged by the shrubs and undergrowth. And it did stink. 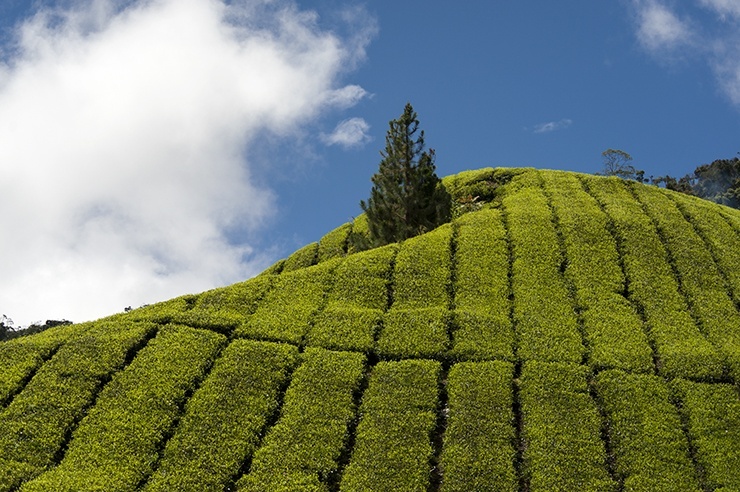 Visitors to India will probably already know the equation hill stations = tea plantations. 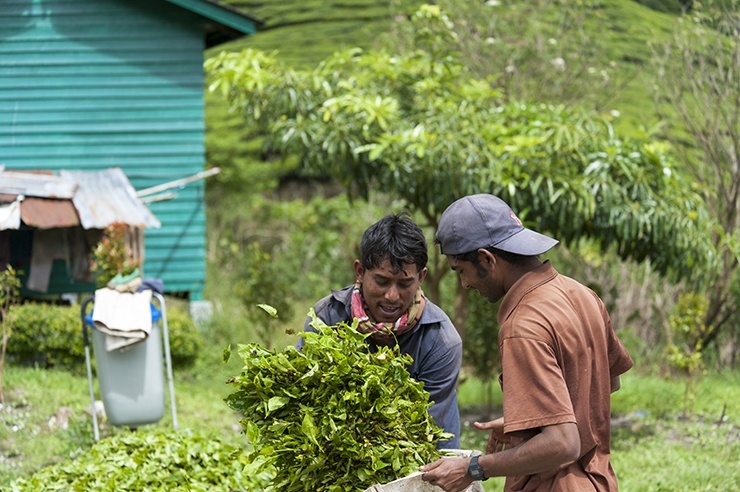 Cameron Highlands lives up to that, with four working tea plantations and processing plants. 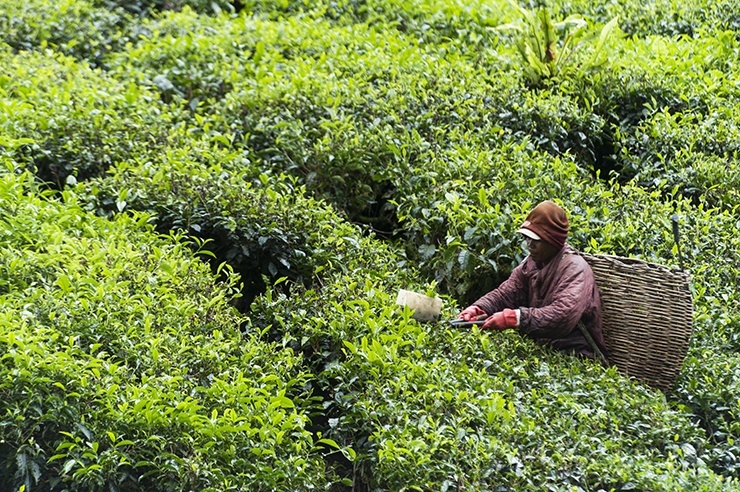 The largest is BOH Tea Plantations; their main garden Sungai Palas is a few kilometers from Tanah Rata. BOH offers free guided tours of the factory; it’s a quick and touristy affair, and it smells a bit like damp teabags, but it’s that’s not why we visited. The views are simply stunning. The plantation covered hill after hill, deep-green carpets over a bright blue sky. 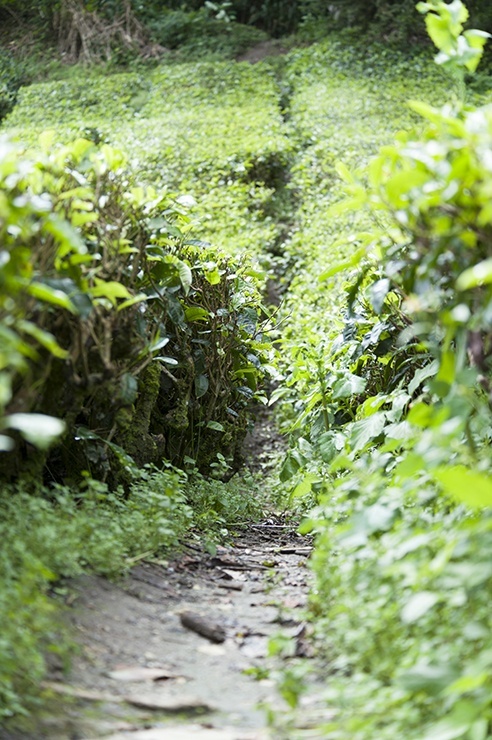 We strolled around the hills for a while that afternoon; labourers walked back and forth along the rows of tea plants, filling wicker baskets on their bags with hand-picked tea leaves. A cup of tea and some strawberries and cream, does it get any more British than that? Thanks to the cool mountain weather, Cameron Highlands is one of the few places in South East Asia where strawberries grow. Anywhere you go, from roadside stalls to tacky souvenir shops, you’ll be surrounded by strawberries. Giant stuffed strawberry pillows, flashing strawberry key rings, action strawberry figurines, strwaberry kiddie backpacks… and of course there are the strawberries themselves in cafés and restaurants, and even pick-your-own strawberry farms. After a few months on the road, a nice bowl of strawberries is a welcome change from the usual mango and pineapples. Last but not least, one could spend weeks hiking around Cameron Highlands. 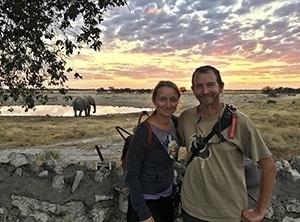 At nearly 1000 metres of altitude, the climate is cool and breezy, trails are not too challenging and (fairly) well-marked, making the place ideal for some self-guided trekking. There are 14 marked trails on offer; here’s a list with brief descriptions. Our choice was Trail 1, from the village of Brinchang to the top of the mountain with the same name (2035 metres). We were told it was the hardest trail of all, steep and slippery and hard to follow; we found it a great day out. The trail climbed steadily, the path was indeed overgrown, but always easily recognizable. If you fancy something less challenging, opt for Trail 4 to a waterfall, or combine Trails 3, 7 and 8 for a view of Tanah Rata from the top. Keep a lookout for Jim Thompson on Trail 4, the last place he was seen before he disappeared. The main town in Cameron Highlands is Tanah Rata, where you will find most restaurants and hotels. There are buses to and from KL and Penang (via Ipoh); for those coming from Taman Negara, there are private minibuses. A good budget accommodation choices in Tanah Rata is Father Guesthouse! Thanks! Glad you loved them! Thank you so much for your kind words Erin. I’m glad you liked the post! Cameron Highlands was a really special place for us. I love learning about unique local oddities like rafflesia. Sounds like such a fun adventure looking for them. I think my kids would love visiting this area. Your pictures of the scenery are amazing. Thanks for your comment Jen! 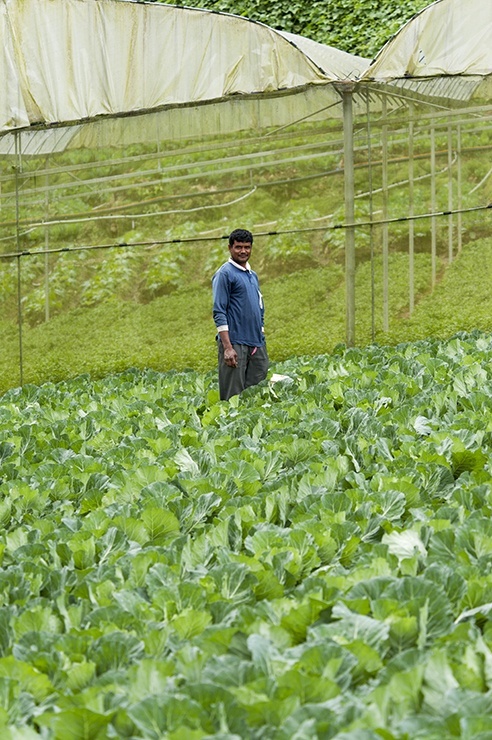 I’m sure your kinds would love Cameron Highlands, so much to do for kids there! Butterfly Farm, pick your own strawberries, and the Time Tunnel museum! What great pictures. I had heard of that stinky flower but didn’t know it was fairly rare. Also, it was cool to learn the story of Jim Thompson. What a great trip you had. Thanks John! The rafflesia tour was unbelievable. 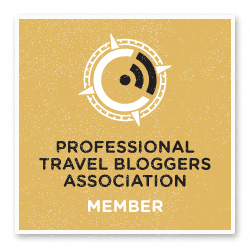 It was highly recommended by a fellow traveller and I cannot thank her enough. One of our Malaysia highlights! Wow, great writeup about one of my favourite mountain spots! Here’s a tip for the weekend visitor: Drop by the Tanah Rata market, either early in the morning or in the evening just after dark! In the morning, be dazzled by the amount of fresh flowers on sale. At night, sample some of the most delicious street foods around. Cameron Highland’s fried mushrooms are absolutely delicious! Thanks Naoko! Thank you very much for your tip. I’m going to plan another trip to check out the Tanah Rata market… all my meals were banana leaf thalis! What amazing scenery! I hadn’t heard of Jim Thompson before but his story has me intrigued. Same here! Jim Thompson’s story is really interesting. If you’re ever in Bangkok, make sure you visit his house museum. Thanks for your comment! I didn’t know about Jim Thompson, but I’ve just been reading the novel ‘Garden of the evening mists’ in which a character disappears in the Cameron Highlands in similar circumstances. I’ve been wanting to visit the area ever since! Thanks for your comment! Make sure you do visit, it’s an amazing place! Thanks for your comment! Tea plantations were fabulous indeed… the rafflesia was good too, stinky only if you got really close! Amazing photos, especially that shot of the kids. I only went to KL and the coast when I was in Malaysia, but this has made me want to go back and explore the highlands as well!! Thanks Emily! The Highlands are fantastic, make sure you pay a visit next time. I would love to go back! Really excellent tour and a nice selection of pics, too. Never been to this part of the world, hopefully next year. 🙂 Oh, and I’ve never heard of Thompson but am now really intrigued by the story. Thanks Bob. Coming from a good photographer like yourself, I really appreciate the compliment. Make sure you pay Cameron Highlands a visit if you ever find yourself in Malaysia, and visit Jim’s house if you are in Bangkok! Thanks Bianca! Glad you liked the pics! The Cameron Highlands look gorgeous! I wish we had had more time to visit Malaysia when we were there. There are so many places we didn’t even hear of because we were there for such a short time. 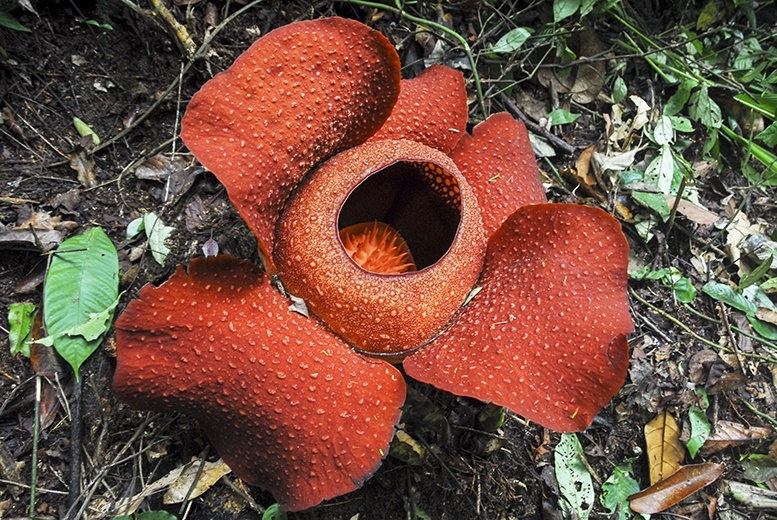 The rafflesia flower looks ridiculous, though I’m not sure I would want to spend my day hunting a plant that smells like decay! Thanks guys! 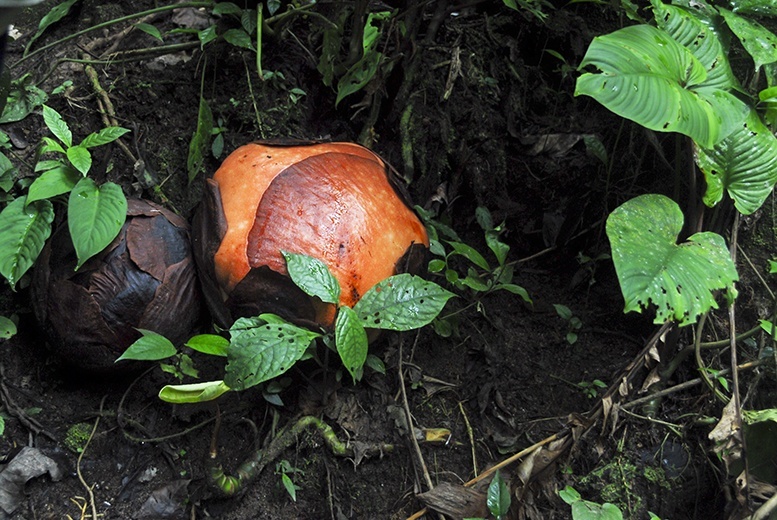 The rafflesia was so cool, looking so incongruous and clumsy among the jungle undergrowth. The smell wasn’t too bad, I guess I was exaggerating a little bit! Thanks for stopping by! That panorama shot is beautiful! Such a green part of the world – and it’s always nice to know where such an important part of your day started. Thanks Dave! Glad you loved the shots. The views were just breathtaking! Excellent article and photos! You’ve been so lucky with the weather! 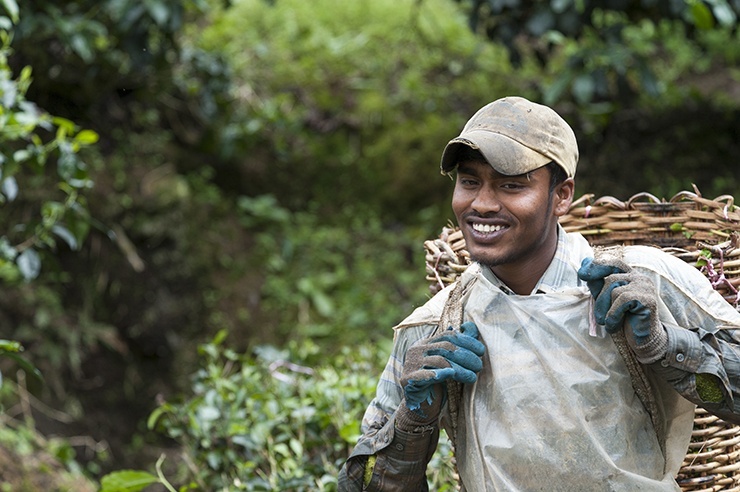 It didnt stop raining when I was there 🙁 I love the photo of the tea picker, he is really photogenic! Thanks Elena! We did have some rain too, guess we were lucky with the photos. Lovely place, isn’t it! My favourite part was hiking and seeing the Orang Asli people. Something I found tricky was getting around once I was there. I wonder if it’s easier now? Hey Sharon! Thanks for your comment. It wasn’t too hard to get about, there were a few public buses but we did a lot of walking too. Not a problem for us because we love walking! Great hiking around Cameron Highlands, and the cool weather is definitely a plus! 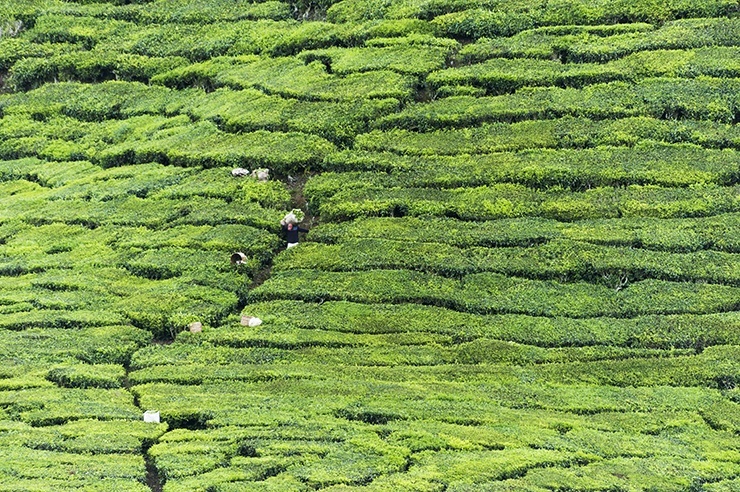 It indeed is a quirky place with its tea fields and strawberry farms! I actually though the bus ride to the Cameron Highlands was really pretty (passing by small villages etc.)! What did you guys think? Hey Manouk! 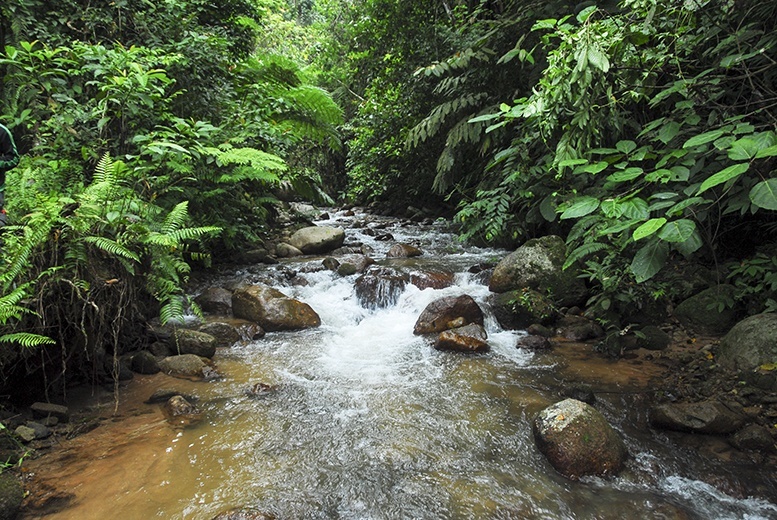 I think I slept on the way… I was still shocked after our Taman Negara adventure!! I guess I’ll have to go back then! Thanks for stopping by and happy Easter! Great photos! I was there for 1 day and it was raining, really need to spend some more time there! You do Jon! We loved Cameron Highlands, absolutely stunning. Thanks Simone! Glad you loved the pics. Cameron Highlands are amazing! Thanks Jen! It was really great to have a tea with strawberries and cream with such an amazing view! Love this post! The Cameron Highlands has been on my want-to-see list since we lived in Singapore. Hopefully we’ll make it there soon(ish).